Posted August 25, 2015 by The Rapid & filed under Silver Line. 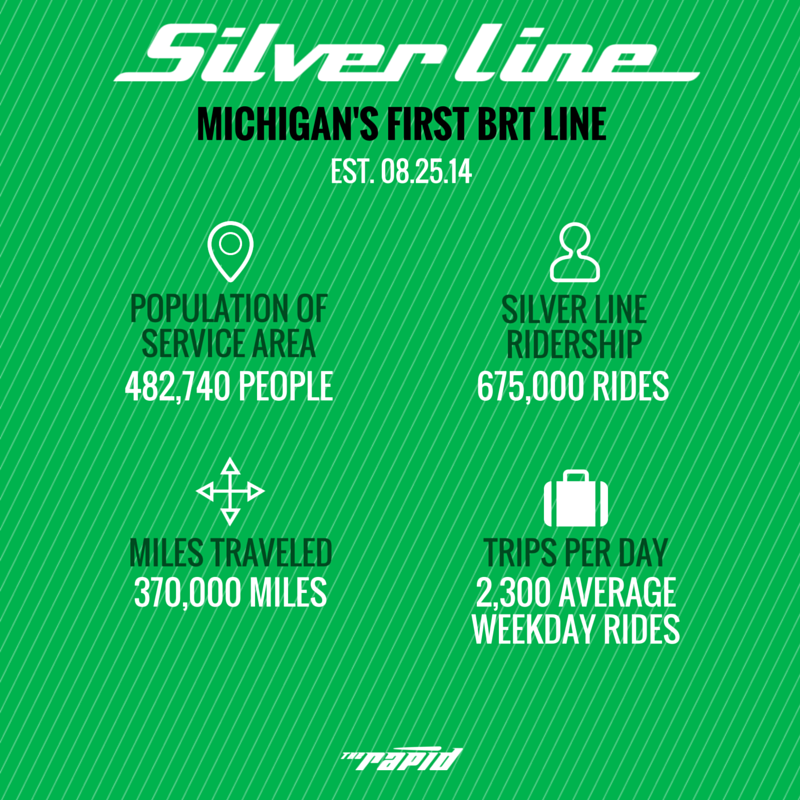 Michigan’s first bus rapid transit (BRT) line hit the road August 25, 2014. Today we are wishing the Silver Line a very happy first birthday! Offering rail-like convenience, the Silver Line’s 10 dedicated BRT vehicles have traveled more than 370,000 miles in the first year of service. 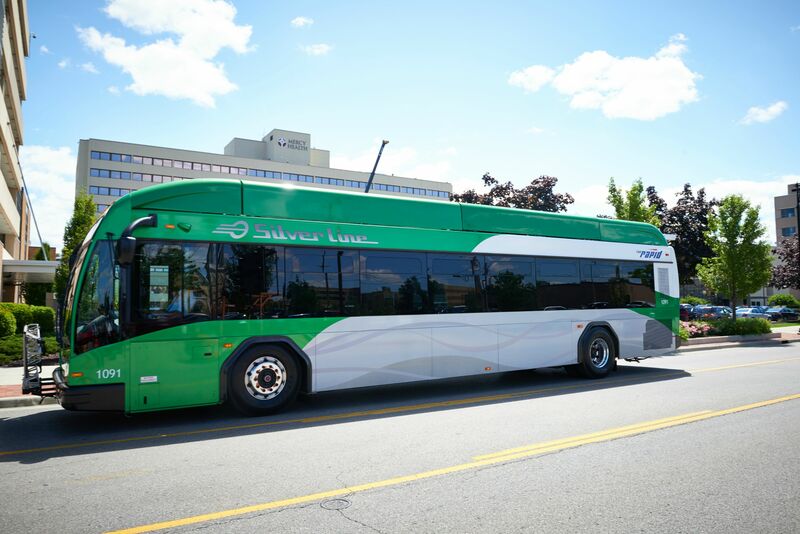 Traveling to 18 stations in Grand Rapids, Kentwood, and Wyoming, the Silver Line has provided an estimated 675,000 rides to passengers going to work, school, medical facilities, and much more. Since it’s launch date, the Silver Line has also had an average of 2,300 rides per weekday. Where does the Silver Line take you?